Your Success is Our Desire. Trading in Forex, Stocks, Crypto and other markets may have some risks, however, the financial market providers try to reduce these risks by different methods. One of them is the bonus to help traders to augment their available balance for trading. The 30% rescue bonus will work as a Stop Loss tool. But how? Imagine that you place orders regarding with this bonus amount or even some part of it. In this case, even if your order became unsuccessful then you would not lose any amount that you have deposited. This Trading bonus is provided by one of the most reliable and well-known brokers, HotForex. Once you deposit into your account this bonus will be added automatically. The minimum deposit to get this bonus is $50 and a trader can only use it once, so it is considered on each trader, not each trading account he/she has. The maximum amount for this bonus is $7,000.00 and you can't withdraw it. Traders can use this bonus on Micro accounts with leverage less and equal to 1:500. 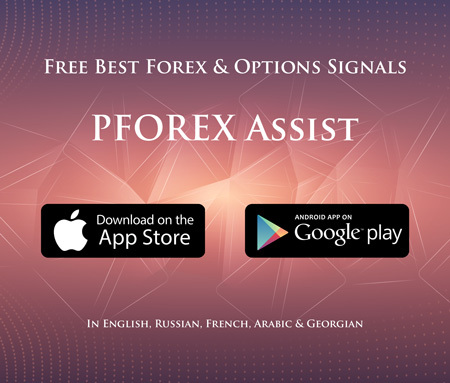 Traders can also use PFOREX Assist app, which is available on App Store and Play Store. In this app, you can find various trading assist tools and information. With more than 65 trading strategies, we provide +3000 daily trading signals and analysis on +80 major assets like; Bitcoin, Ethereum, Gold and major Currencies such as GBPUSD, EURUSD and USDJPY. Based on your membership, favorite strategies, time-frames and selected assets you receive certain number of signals, approximately +200 daily. If you open your trading account via us in supported broker like HotForex, then we will upgrade your PFOREX membership for full package of signals and analysis.Not enough? Ok then. We also PAY you for your trades, so you can receive our VIP services and trading rebate based on your traded lot alongside of your trading profit from your orders.